Mr. Mongkol Ausawanicrotorn (second from right), Mayor of Sai Ma District Municipality, and Capt. 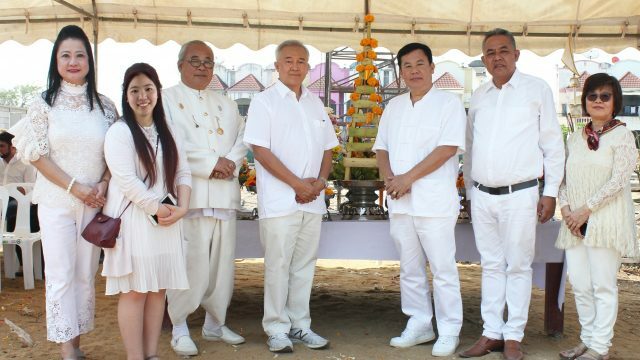 Chumpol Tulaphan (third from right), President of Thai Spa Business and Operation Club, jointly presided at the “ground-breaking” ceremony for the construction of a luxury spa in Nonthaburi area hosted by Mr. Sawang Hansirisawasdi, Founder & Chief Executive Officer of Dararat Spa. Performing the rite was Brahmin Keesanapun Ransibrahmanakul (third from left). 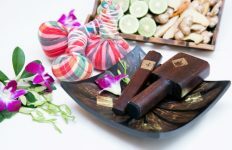 Dararat Spa is scheduled to open towards year-end. Pictured from left are: Dusadee Kasemmongkol, Panissara Hansirisawasdi, Brahmin Keesanupan Ransibrahmanakul, Sawang Hansirisawasdi, Capt. Chumpol Tulaphan, Mongkol Ausawanicrotorn, and Somsri Hansirisawasdi.